WORKING TOGETHER FOR THE BENEFIT OF OUR MEMBERS! Welcome to Southern California CUREN, we invite you to attend our meetings to learn more. To enhance the expertise of members by providing continued education and professional development through networking, education and vendor support. Connect with other local Credit Union’s to access a greater knowledge of the latest trends in real estate production, technology, regulation and legislation. Bi-monthly meetings are hosted by CUREN members across the region with presenters that may include GSEs, Credit Union Leaders and industry service providers. We have a very special speaker lined up for this event that you do not want to miss. Cindy Ertman of Mortgage Master Pro has had a very successful career as a Success Strategist, National Mortgage Trainer, Top Mortgage Originator (top 100 nationwide), Best-Selling Author and Mortgage Coach. You will really enjoy her custom presentation to SoCal CUREN. During this powerful session with Cindy, you’ll discover how to leverage your unique strengths to get better results, cultivate stronger relationships and experience more purpose and fulfillment in your business and life. Cindy’s ‘Total Success Blueprint’ will provide you with a step-by-step guide to help you set goals and design specific action plans in 7 key areas of your life that align with your life’s purpose, values and vision. You’ll learn about the power of focusing on outcome-driven choices that allow you to live life by design…rather than by default. Leave with a personal values-driven road map to fully embrace your vision of success and make 2019 your best year yet! Don’t miss your chance to experience a personal growth adventure that can help get you from where you are to where you want to be in your life and business! Cindy Ertman is the CEO & Founder of Mortgage Master Pro® and The Defining Difference®, success-based coaching and training companies, devoted to helping people master the power of intentional choice to create a defining difference in their own lives and their business. 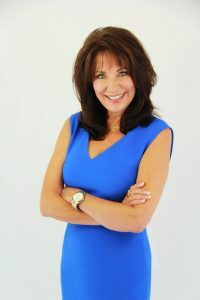 After being acknowledged as one of the Top 100 Most Influential Mortgage Executives in America by Mortgage Executive Magazine for 4 years in a row and being named in the Top 100 Mortgage Loan Originators in the U.S. by Mortgage Originator Magazine for over a decade, Cindy has now dedicated her life to empowering the growth of others. She has developed a track record of helping high achievers shift the way they see the world and expand their vision of possibility by teaching them her total success approach to business and life. She also served on the faculty for one of the nation’s largest mortgage training companies for over 17 years and continues to devote time supporting and educating sales professionals and leadership teams across the country. During this powerful session with Cindy, you’ll discover how to leverage your unique strengths to get better results, cultivate stronger relationships and experience more purpose and fulfillment in your business and life. Cindy’s ‘Total Success Blueprint’ will provide you with a step-by-step guide to help you set goals and design specific action plans in 7 key areas of your life that align with your life’s purpose, values and vision. You’ll learn about the power of focusing on outcome-driven choices that allow you to live life by design…rather than by default. Don’t miss your chance to fully embrace your vision of success to make 2019 your best year yet! QUESTIONS ABOUT A MEMBERSHIP? WE ARE HAPPY TO ASSIST. Ask One of Our CUREN Board Members! We’re here to help answer your questions. Connect with other local Credit Union’s to access a greater knowledge of the latest trends in real estate production, technology, regulation and legislation. © Copyright 2018 Southern California CUREN. All Rights Reserved.